Hi guys, been a couple of weeks since my last post as it's been a little hectic at the batcave recently. 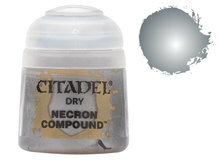 However, I have had a little bit of time to try out some of the new Citadel paint range and thought I'd post a few comments. Starting with the base paints, I picked up Ceramite White, Averland Sunset and Mephiston Red, primarily for chapter iconography on my Kill Team, that is slowly coming along. The test piece was actually a couple of 1:148 scale military Landrover Ambulance kits. I used Fenrisian Grey to paint several Wings of War aircraft for my Dad. 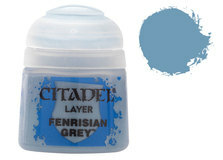 This is a reasonable colour match for the old Space Wolves Grey. I've read a lot on the tubes about the new colour equivalents being noticeably different from their old -range counterparts, but this one isn't too bad. Plus, it flows through the airbrush pretty nice, when watered down approximately 3:2 paint to water. Not impressed with my first experience of the new dry paints... you can get the same effect by revisiting a pot that hasn't been used for a while and dried out. I was a little sceptical, but thought it was worth the crack in case it was absolutely revolutionary, but I'll probably go back to the regular layer paints. Thing is, because they are SO dry, you only get it on the tips of the bristles unless you dig into the paint. I normally make sure 3/4 of the bristles are loaded with paint, wipe off the excess and then use the drybrush technique in strokes across the workpiece. For me, this just didn't seem very user friendly. Maybe some experimentation needed? The technical paints seem very good. Liquid Green Stuff is very useful and I've used it a couple of times for some minor gap-filling jobs. It's so much easier than trying to mix minute amounts of putty and is fairly easy to work around with brush. Still worth having some water handy to keep it all moving. Lahmian Medium is the normal paint base without the pigment, so is thinner than the layer or base paints. Because of this, the pots appear to have shorter measures than the rest of the range, but I'm sure that's not the case... Up until now I've used Vallejo matt varnish for sealing decals; it's better than a lot of the equivalent products out there but can still get a little cloudy if over-used. Lahmian Medium is definitely a good alternative. I've not yet used any of the glazes or textured paints, but will add some comments as and when I do. Oh, one minor point too, it's good to see the return of the little catches that hold the pot lids open as the recent versions without were a pain in the neck.